Fukkk Offf is back with a scorching second single from his debut album Love Me, Hate Me, Kiss Me, Kill Me. 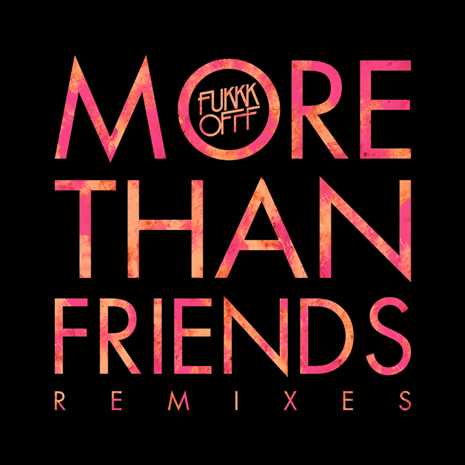 ‘More Than Friends’ has been the dominating track from the album with it’s male/female hip hop duet about a sneaky encounter at the club and has been begging for an equally dominating remix package. Italy’s CongoRock steps up first a club banger that’s as reminiscent of old school Chicago jack tracks as it is telling of the future of dance floor mayhem. Congorock strips out most of the vocal leaving you with a heavy chant, driving rhythms and chaotic melodies. Markus Lange & StereoFunk take things way back to the land of 80’s disco funk. Leaving the vocal intact with a new arrangement the ML & SF mix sits as well alongside Sugar Hill Gang as anything out there today; Timeless. The original is here as well with a new Dub mix from the main star at hand, Fukkk Offf. You are currently browsing the archives for the Congorock category.